It is a cold winter morning, you wake up and you do not feel like getting out of your bed. You dread keeping your foot down on a cold floor. On the other hand, somebody wakes up, and puts bare foot on the floor without even thinking once. They say their hardwood floor, and the tile floor feels warm, even on chilly winter mornings. These are the benefits of radiant floor heating. 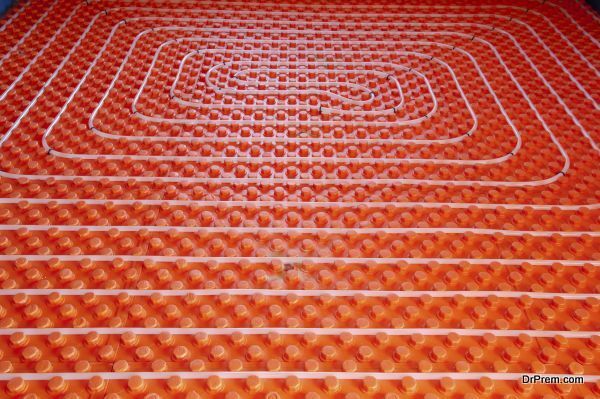 Radiant floor heating is a procedure of installing heating coils or water heated tubing system under floors. The RFH system warms a room through a floor. 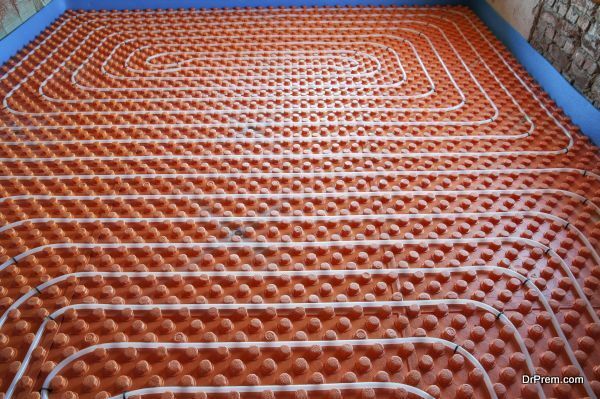 These under-the-floor heating systems conduct heat through floor surface. This is unlike conventional air heating systems that conduct heat through air. Concept of radiant floor heating is not new but it has gained traction in recent times. These installations are all about laying a network of pipes and wires beneath room floors. The network makes the floor a comfortable space to walk upon in winters, and it makes the room temperature warm. RFH systems use one of these sources to produce heat – hot air, hot water or electricity. The least efficient source of all three is hot air, so it is rarely used in today’s time. The systems that use electricity are pricey. 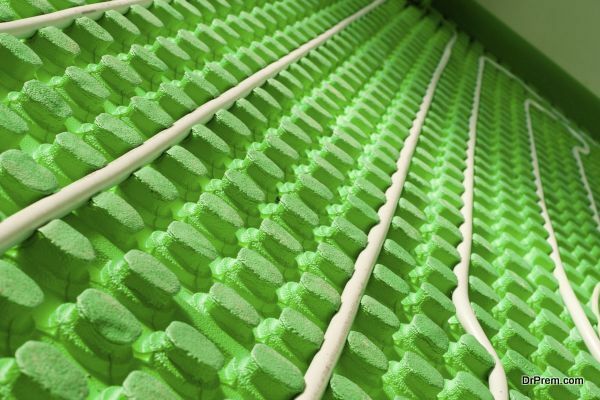 Hydroponic radiant floor systems are the most efficient, wherein boiled water is pumped up in flexible tubing that heats up the floor. 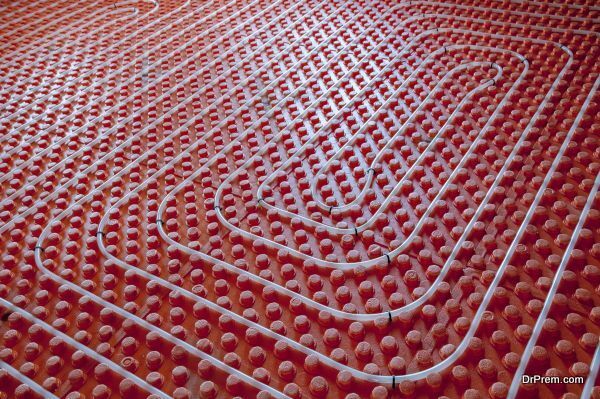 Radiant floor heating systems are of great value. People only know that they are heating systems that efficiently heat up homes but there is lot more to it. Here are a few pointers that will let you know some of the other benefits of RFH systems. If you compare these systems with other heating systems, you will realize how fuel-efficient they are. Whether you use this innovative heating system at home or in office, they use less heat than many other systems. There are several reasons responsible for this such as non-pressurization of rooms, reduced air temperature stratification and more. 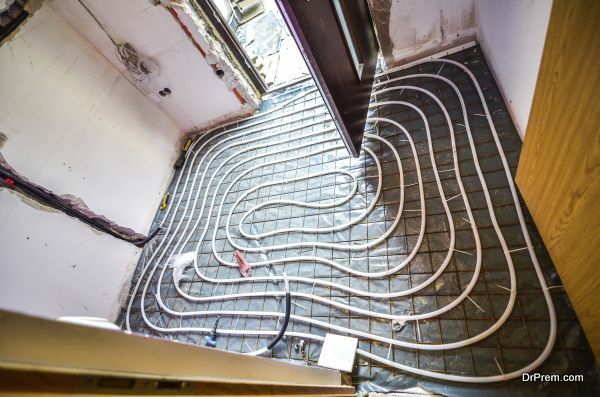 Unlike, many other heat emitters that send out heat only to specific areas, the radiant floor heating systems give out even heat. They generate warmth that you can feel everywhere in your home, and not just at one particular place. This feature reduces energy costs because you do not need to use a separate heat emitter in your room just because the one already in use is not generating enough warmth. Heat emitters are an integral part of homes but not many people like to see them in homes, they find them no less than eyesores. Well, this is not the case with radiant floor heating systems. They simply do their work while hiding beneath the flooring. They make homes thermally luxurious without interfering with the aesthetics of a home décor. Usually, heat emitters are noisy creatures. Some sound like hundreds of hair dryers, while the others operate while making pops, creaks, and click sounds. On the other hand, the radiant floor heating systems are absolutely silent. They operate without making any noise and irritating you. People complain they hate it when they turn on heating devices, as they throw dust particles stored in their ductwork. Moreover, they are hard to clean. Radiant floor heating systems solve both these problems really well, as they do not release any dust or other allergic stuff, and they do not interfere with the floor cleaning. 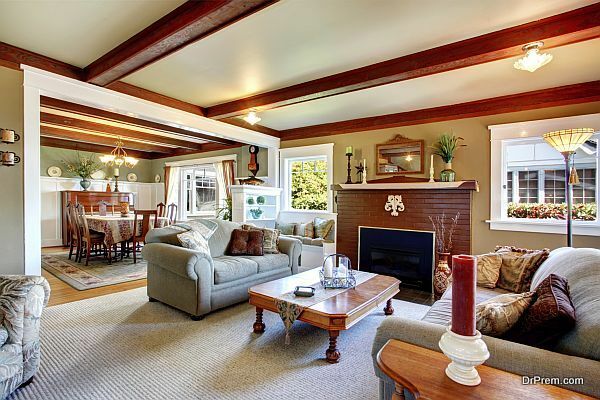 Homes equipped with radiant floor heating systems enjoy a fair share of advantages. They are energy efficient homes, which are comfortable and convenient as well.